WASHINGTON – Republicans have vilified Nancy Pelosi for years as a San Francisco liberal, and now they're trying to portray her as a captive of resurgent left-wingers in her Democratic Party. But in her early moves so far as House speaker, Pelosi is displaying her pragmatic streak. 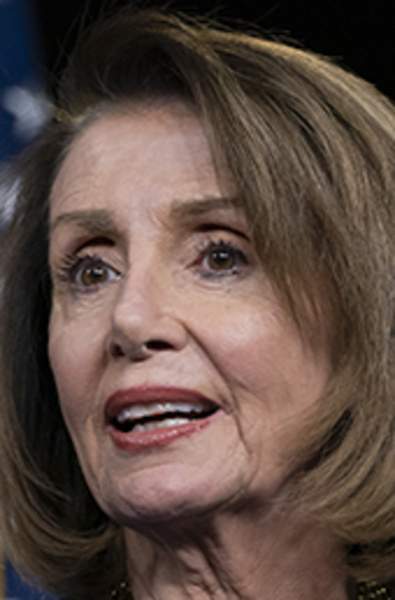 She's set to endorse a split-the-differences deal on government funding that appears on track to give President Donald Trump at least some barriers on the border, after she had said Trump's border wall idea was “immoral” and promised he wouldn't get a penny for it. And as the Democratic Party's progressive wing pursues dreams such as “Medicare for all” and a “Green New Deal,” Pelosi is keeping her distance. Pelosi presides over a 235-member Democratic caucus that surged into power in November. The new majority includes high-profile, young, defiantly liberal lawmakers such as Rep. Alexandria Ocasio-Cortez, D-N.Y., who's a darling among Democratic activists and a social media phenomenon. While some on the left are demanding Trump's impeachment, Pelosi is urging Democrats to take it slow, saying there needs to be a full vetting of any evidence. She's against demanding Trump's tax returns immediately. That led many Republicans to believe that Pelosi would become an obstacle in the talks. Instead, Pelosi is intent on pursuing a deal with Republicans on a $350 billion-plus appropriations bill that has been hung up for weeks over Trump's border wall demands. She still opposes the idea of a wall but has signaled she's open to vehicle barriers and other steps. Issues where Democrats want an accomplishment this year, such as lowering prescription drug prices, probably require Democrats and Pelosi to cut deals that won't please lots of liberals. Pelosi often cites her work with the Bush administration in 2007 to pass legislation boosting automobile mileage standards and production of renewable energy. While high-profile liberals capture the attention of the party's left wing, Pelosi is more focused on protecting the first-term members who matter to holding the Democrats' majority: lawmakers who took over GOP seats in areas won by Trump.